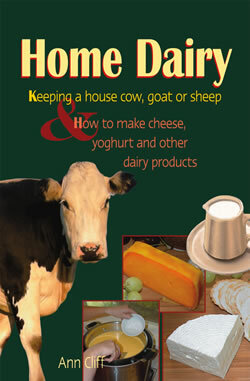 Keeping a house cow, goat or sheep and how to make cheese, yoghurt and other dairy products. Like bread, wine or beer, making your own yoghurt, butter and cheese is fun. It’s an age-old tradition – neither difficult nor complicated, and very rewarding. No room for a goat, cow or sheep? No matter. Just buy a few litres of milk and get straight into the process of making your own cream, butter, cheese and yoghurt.